Check out this video showing the moment a Carnival cruise ship destroyed a small marina in Italy with its propeller wash as the ship was leaving port. The incident occurred this past Sunday as the Carnival Vista was departing Messina, Sicily. A security video shows the wash from the cruise ship’s stern thrusters swamp boats and overturn piers at the marina. A the end of the video you can see the cruise ship continue on its journey as if nothing had happened. Yesterday Australian Border Force (ABF) officers seized 95 kilograms (210 lb) of cocaine from three Canadian cruise ship passengers. On Sunday 28 August, ABF officers boarded the Princess Cruises ship Sea Princess when it berthed in Sydney Harbour, and with the assistance of detector dogs, searched a number of passenger cabins on the ship. During this search, approximately 95 kilograms of cocaine was located, packed in suitcases. All three will face Sydney Central Local court today, charged with importing a commercial quantity of cocaine. ABF Assistant Commissioner, Strategic Border Command, Clive Murray said the arrests were the result of international cooperation between a number of organizations including US Department of Homeland Security Investigations (HSI), The New Zealand Customs Service (NZCS) and the Canada Border Services Agency (CBSA) . “Drug syndicates should be on notice that the Australian Border Force is aware of all the different ways they attempt to smuggle drugs into our country and we are working with a range of international agencies to stop them,” Assistant Commissioner Murray said. “Today’s successful operation has resulted in three arrests and we will not rule out further activity as we continue our investigations.” Assistant Commissioner Connelly said. 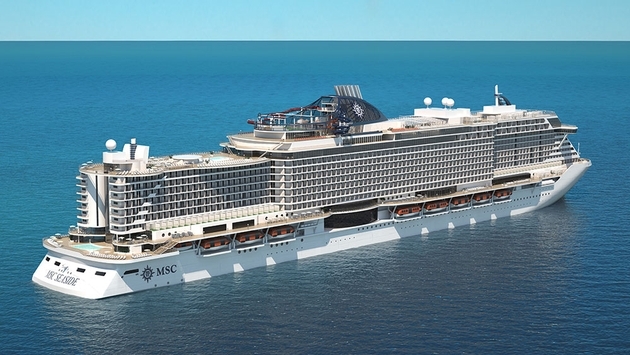 For a company like MSC Cruises with eleven new ships set to come online between 2017 and 2026 – contributing to a total $10.2 billion growth investment – it’s important to establish the firmest foundation possible in which to deploy in new markets, and both North America and China are still relatively new to the European line. 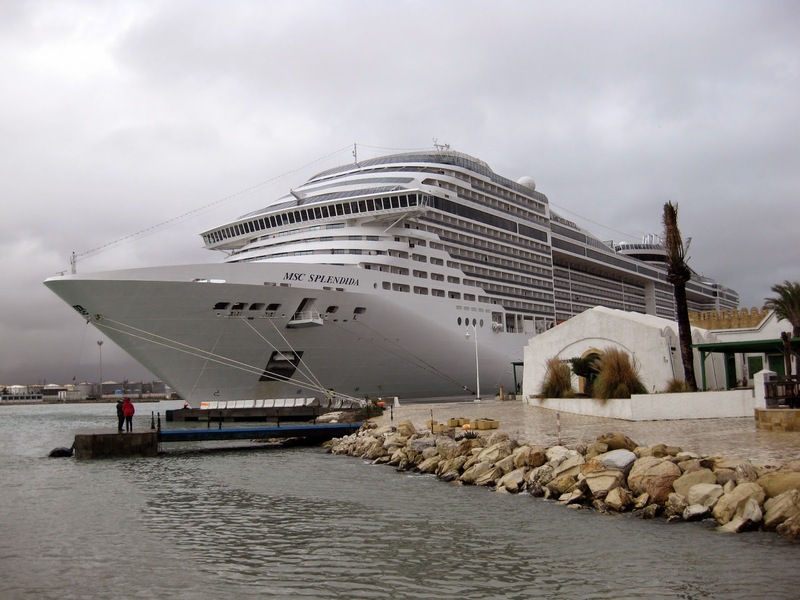 MSC Cruises has dedicated the MSC Divina to sailings roundtrip from Miami, Florida, but the line has vacillated on its year-round commitment – establishing it in 2013, leaving it temporarily and then returning again in 2015. As it is, the Divina was an existing ship that was retrofitted for the U.S. market, and its success was questionable at the start. Initially, service and dining were particularly not up to standards, but the ship has much improved since then, making the Divina a wonderful Mediterranean experience in the Caribbean. Now, the line is anticipating the launch of its MSC Seaside (rendered above) which, come December 2017, will be the line’s first ship to be exclusively based in the States from the very start, and with the ship’s launch will also coincide the opening of the line’s new Ocean Cay MSC Marine Reserve in the Bahamas. With the island destination alone costing $200 million, there is a lot at stake for MSC Cruises in the Caribbean next year. So, the line is making a fresh start with its North American leadership team. It is bolstering it up by effectively putting two in the driver’s seat: 12-year-veteran Rick Sasso becomes Chairman of MSC North America, and executive Roberto Fusaro takes the role of President of MSC North America after his success in South America on behalf of the cruise line. “With the ultra-modern and beautiful MSC Divina home-porting in Miami, the revolutionary MSC Seaside to be christened in Miami in December 2017 and to also home-port there, as well as the development of Ocean Cay MSC Marine Reserve – the most exciting new private destination ever built by a cruise line – it is clear that MSC Cruises is committed to the North American market,” said Fusaro. Similarly in China, MSC Cruises has meanwhile opened up an office for the line in Shanghai, where its MSC Lirica has been recently deployed, and appointed Helen Huang as President of MSC Greater China. She comes to MSC after regional endeavors with Costa Asia and Costa China. As more and more cruise lines enter Asian markets, competition rapidly grows, and MSC Cruises’ new developments in China show that the company means business. “I look forward to a new journey to contribute to making MSC Cruises – in the footsteps of what the company has already accomplished in China – the most attractive brand to Chinese vacationers,” added Huang.